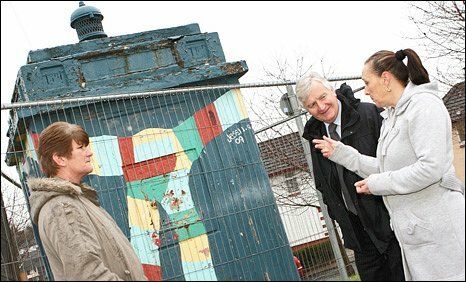 A "much loved" former police box, called the Tardis by locals, has been awarded £10,500 towards its repair. The community had been trying to raise money to preserve the old box in Somerton, Newport. It is one of a dozen conservation projects to share £410,000 in Welsh assembly government funding via Cadw. The largest award is £162,000 for repairs to the National Language and Heritage Centre at Nant Gwrtheryn in Gwynedd. The grants, ranging from £5,000 to £162,000 have been offered to carry out essential repairs and restoration work to a dozen buildings across Wales. Heritage Minister, Alun Ffred Jones, said: "The range of buildings from this famous telephone box to a school and stables shows the rich variety of heritage sites we have in Wales and the range of sites that Cadw helps preserve. "These grant offers will ensure these important buildings are restored and maintained for the enjoyment of future generations." The old police box is currently fenced off for safety reasons. Deborah Clark of the Regeneration Association Somerton Community at Large (Rascal), who made the application for the grant, said: "We're delighted to receive this money which will help restore and maintain this very popular local landmark. "Everyone from this community loves this telephone box as do many people from further afield and we will now be able to ensure future generations can enjoy it too." A 16th Century town house, also with Georgian features both inside and out, the money will go towards the restoration of walls and windows. The complex of buildings is an "excellent example" of 20th Century estate architecture. The grant will pay towards repairs to the coach house and clock tower in the yard. An "exceptional" 19th Century country house by Humphrey Repton set in extensive mature parkland. the award will pay for rebuilding and repairing the ornamental stone outer wall and bridge. Exterior repair to late 18th Century church school, which forms a "pleasing group" with St Garmon's church, adjoining it. Re-roofing of the museum, which is set in the former St Mary's church, a late Georgian parish church with a landmark tower. An "imposing" two-storey house in the village, dating from the early 19th Century. The grant will go towards conservation repairs. An "extremely rare survival" in Wales, the former police telephone box is "much loved by the local community" and known locally as 'the Tardis'. Money will go towards conservation repairs. Repairs to historic exterior of upland farmstead, "which has evolved over several centuries" and has "an unspoilt arrangement and a dramatic position in the landscape." Roof repairs to "picturesque pair of cottages" in a conservation area. 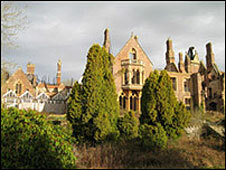 A Grade I-listed, mid 19th Century house built by Sir George Gilbert Scott, partially destroyed by fire in 2004 but with plans to restore this "nationally important house" as a single dwelling. Money will be used for recording of the building and emergency works to stabilise it. 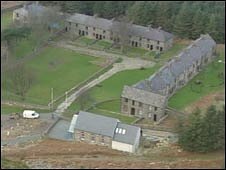 Money will go towards "comprehensive" repairs to building, which originally housed workers at the nearby quarry, and is now home to the Welsh language and heritage centre. Of "outstanding historical interest" as part of the Blaenavon Company's original shop on the ironworks site at Blaenavon. 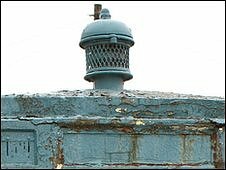 Grant will go towards conservation repair.